What was then known as Silverios Seafoods Restaurant in Urdaneta City had been reborn as Dampa sa Pangasinan. Food was definitely delectable from the former Silverios so I wonder if the new name can be at par with the old. Let’s find out. Months before the new restaurant was launched, my friends and I were speculating why Silverious was closed. We were thinking, most likely the archival restaurant from the opposite side of the road, Matutina’s, had finally beaten the younger seafood place. We were in for a surprise. In the tradition of dampa style restaurants, Dampa sa Pangasinan had been born. Not too long before that, there was also a Dampa sa Tarlac which had been opened. 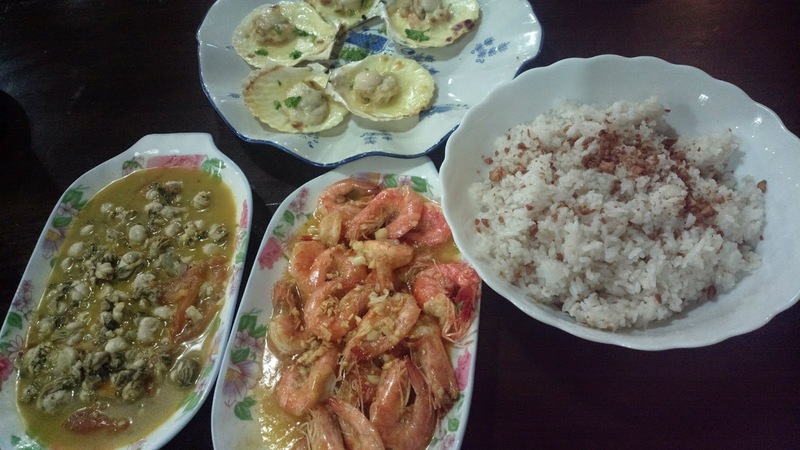 The original concept is located in Dampa sa Sucat (Parañaque) where seafood dishes are literally freshly cooked. This is because a seafood market is located right in the heart of the compound where you can purchase fish, meat, and other products. You can later on request to cook your food according to your preference through any of the restaurants within the area. As for the Dampa in Pangasinan, the idea of a fresh market hasn’t been duplicated actually but you can similarly choose which fish or meat to order and ask to have it cooked the way you want to. There is no charge for cooking; whereas, in Sucat, there is. You must also order a minimum of 250 grams for each selected dish in this Pangasinan dampa seafoods place. On the food, I was only able to sample three dishes but I enjoyed each. It was my first time to have a bite of scallops (baked with cheese) and I instantly fell in love with it. The oysters in tomatoes had always been a favorite of one. It tasted just like my mom’s cooking. As always, I also got buttered shrimp. Too bad, crab wasn’t available at that time. They also offer buffet by the way and it’s still available at selected time only. If you think I ordered a lot, I didn’t mention about the rice and drinks yet. And the total bill was less than Php1000. It was as affordable as the old Silverios. Service was great before you even park your car. You will be assisted to the parking lot, warmly greeted at the reception desk, ushered towards a table, and served well. You can even request for a free meaty soup. Dampa sa Pangasinan is open from 7AM to 11PM daily and is located in Nancayasan, Urdaneta City, Pangasinan. How much po yung buffet nila?